The Home Affordable Program is designed for homeowners who pay their mortgage on time but are not able to refinance because they have little or no equity in their home. 2. Your existing loan must have been sold to Fannie Mae or Freddie Mac prior to June 1, 2009. 3. During the last 12 months, all of your mortgage payments must have been made within 30 days of the due date. To obtain a good faith estimate for a Home Affordable refinance with Infinity Mortgage Group, click here. If I have a first and a second mortgage, do I still qualify? Yes, as long the lender on the second agrees to subordinate their loan to the new first mortgage, thereby remaining in second position. Can I combine my first and second mortgages into one loan? No, unless in the rare event your existing second mortgage is also owned by Fannie Mae and Freddie Mac and was taken out when you originally purchased your home. Can I get cash out to pay off debts? No. 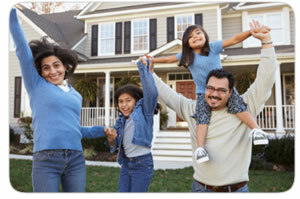 However, you may include all closing costs in the new loan so you donâ€™t have to come out of pocket with any cash. If I’m delinquent on my mortgage, will I still qualify? No. Borrowers who are currently delinquent on their mortgage should contact their current lender/servicer and ask about a loan modification. If your existing loan does not have Private Mortgage Insurance (PMI), it will not be required as part of your HARP refinance either. If your existing loan has PMI, your HARP refinance will also require it. PMI for this program will only be available through your existing PMI company. *Additional Costs may apply if the new loan amount is greater than the original loan amount. How long will the Home Affordable Program be available? The program expires on December 13, 2013. Your refinance transaction must be closed and funded on or before that date.